Corporate income tax in China is fixed at 25% standard tax rate (for some enterprises operating in encouraged sectors, i.e. high-tech, the rate is 15%). Every organization registered in China Mainland and producing income in China is subjected to corporate income tax. However, an enterprise can deduct expenses that incurred in the tax year and that are related to income generation. The actual expenses incurred by a company in relation to the income earned, including: costs, expenses, taxes, losses can be deducted when the taxable income is calculated. In this post, S.J. Grand gives you an overview of deductions for enterprise tax yearly computation. The purpose of this article is informative, to obtain a tailored tax simulation and/or a tax consultation we suggest you to contact us. China taxation system is continuously evolving. Foreign-invested enterprises operating in the P.R.C. are often challenged by these frequent regulatory and tax adjustments. Being backed up by the right partner can constitute a mean of success. S.J. 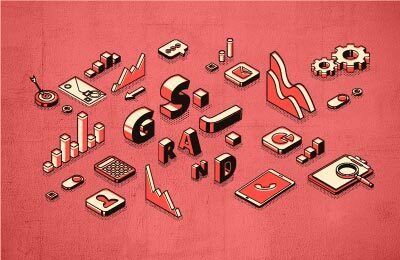 Grand’s knowledge of the local tax system, along with its strong networks and skilled teams, let you prevent the risk of missing some updates. Having an appropriate tax plan in China translates in saving resources for your daily operations. A recent notice, issued by the State Administration of Taxation, modified rates of allowed deductions. In the following China tax guide, we roll out major aspects related to enterprise tax deductions. other expenses related to the employee employment. On the basis of the Notice of the State Administration of Taxation on the Deduction of Wages and Salaries of Employees and Staff Welfare Fees – Circular  n.3 – the expression “reasonable wages and salaries” refers to wages and salaries paid to employees by the employer in accordance with the salary and wage regulations formulated by the general meeting of shareholders, the board of directors, the remuneration committee, or related regulatory agencies. The “salary” refers to the sum of money paid by the company according to the provisions of Article 1 of Circular  n. 3, excluding the employee’s welfare, education funds, labor union funds, pension insurance premiums, medical insurance premiums, and unemployment insurance premiums. Also, industrial injury insurance premiums, maternity insurance premiums, housing fund, and other social insurance premiums are excluded from the calculation of “salary”. According to the P.R.C. Enterprise Income Tax Law Implementation Regulations, the basic social insurance premiums paid by the enterprise to staff and workers in accordance with the scope and standards set by the competent department of the State Council or the provincial people’s government can be deducted. Others (i.e. safety insurance premiums paid for employees with special types of work, other commercial insurance premiums in accordance with relevant state regulations). Compatibly with relevant state policies, for what refers to supplementary social and medical insurance premiums, the taxable income that can be deducted within 5% of the employees’ total wages. As per the employee welfare costs, trade union fund, and education fund, the deduction is permitted if the expenditure sustained by the company does not exceed 14% of the total wages and salaries. To benefit tax deduction, the amount of trade union funds allocated by enterprises shall not exceed 2% of the total salaries and wages; while education fund shall not exceed 8% of the total salaries and wages*. If the company’s expenditure exceeds these amounts, tax deduction may be carried on to the following tax year. For high-tech enterprises, the deductible education expenditure amount shall not exceed 8% of total salaries and wages, as stated by the Notice on the Pre-tax Deduction Policy for High-tech Enterprises’ Staff Education Expenses (Finance and Tax  No. 63) issued by the Ministry of Finance and the State Administration of Taxation. If the expenditure exceeds this amount, it could be deducted in the subsequent tax year. *The employee training cost (education fund) cap was raised from 2.5% to 8% in January 2018. High-tech companies and other enterprises now enjoy the same tax deduction rate. According to the P.R.C. Enterprise Income Tax Law Implementation Regulations – Taxation Announcement No. 15  – during the establishment, business entertainment expenses incurred in connection with preparation activities may account 60% of the total amount incurred and shall be deducted before taxation in accordance with the relevant regulations. Advertising expenses and business promotion expenses are deductible within 15% of the portion of sales (business) income earned in the current tax year; expenses exceeding the amount can be carried out in the following tax years. Some sectors, such as cosmetics, pharmaceutical, and beverage (excluding alcoholic beverage manufacturers) can deduct up to 30%. Public welfare donation expenses can be deducted if they do not exceed 12% of total profits in the same year. The expression “total annual profit” refers to the annual accounting profit calculated by the company in accordance with the regulations of the national unified accounting system. If the nature of donations is non-charitable, expenses cannot be deducted (i.e. sponsorship expenses). The P.R.C. allows reasonable deductions for borrowing costs that do not require capitalization in production and business activities. The acquisition or construction of fixed assets, acquisition of intangible assets, and inventory in the first 12 months of operations shall be regarded as capital expenditures. The cost of relevant assets shall be deducted in accordance with the provisions of state regulations. The deduction shall be permitted in the tax year, but the excess amount cannot be deducted in subsequent years. For interest payments to shareholders or other natural persons in affiliation with the company, enterprises shall refer to Cai Shui  No. 121 (Article n. 46) – Notice of the State Administration of Taxation on the Pre-tax Deduction of Enterprise Income Taxes on Interest Expenses Borrowed by Natural Resources from Enterprises. As an incentive, for Research and Development expenses (i.e. incurred in new product, new technology, etc.) an extra 50% of the total expense incurred is deductible. Up to December 2019, extra 75% of the total expense incurred is deductible from CIT for Small and Medium Enterprises (SMEs) operating in technology fields. Furthermore, since April 25th, 2018 (up to December 31st, 2020), the per unit value of newly-purchased R&D equipment eligible for one-time tax deduction will be increased from RMB 1 million to RMB 5 million. Amortization of intangible assets, such as patents, copyrights, trademarks, land usage rights, is allowed for a period of minimum 10 years. The reasonable labor protection expenses incurred by the company can be deducted. Enterprises participating in property insurance can deduct the insurance premium paid in accordance with related regulations. The newly purchased equipment and appliances, with unitary value of no more than CNY 5 million, can be included in costs and deducted from the taxable income. The annual calculation of depreciation is no longer needed. For newly purchased equipment and appliances with unitary value of more than CNY 5 million the old relevant regulation still applies (Cai Shui  No. 75). In other words, the annual calculation of depreciation is still needed. The costs associated with production and operations occurred in overseas head offices may be deducted if scope, quotas, distribution basis, and methods are provided. As seen, calculation of corporate income tax in China allows the deduction of expenses as long as relevant laws are respected. A good tax plan should be constantly updated following latest updates in order to allow you save money. Being in compliance with local laws and regulations, optimizing your business to be tax efficient and mitigating risks is what any foreign investor should seek to successfully operate in China. Contact one of our tax experts and receive your tax simulation.